38 North announces the release of a new 3D panorama of facilities at the Sohae Satellite Launching Station (also referred to as Tongchang-ri). Based on satellite imagery of the site and photos of the facility, this panorama presents a reconstruction of the interior of Sohae Launch Control Center main room. The Launch Control Center panorama is part of an ongoing project by Nathan J. Hunt, and is exclusive to 38 North. Panorama © 2016 Nathan J. Hunt/38 North. 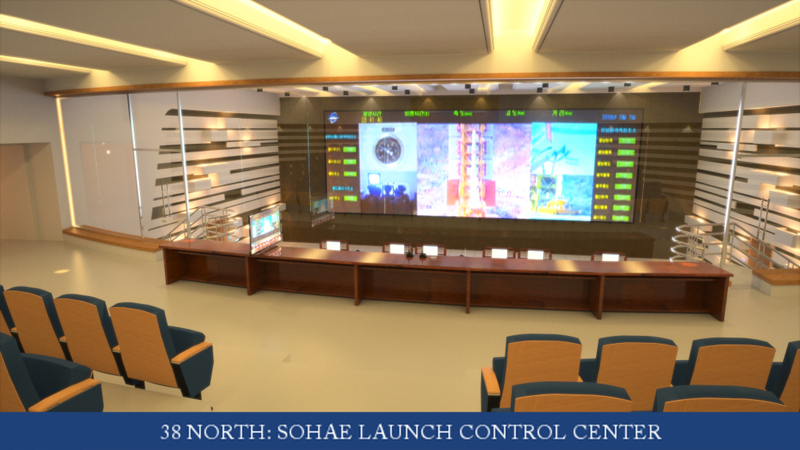 Explore this new interactive panorama of the control center at Sohae here.